I was a little nervous baking out of a box – seeing that I haven’t baked anything out of a box in a couple years. Kind of funny since I was never a from-scratch baker pre Fitting Into Vegan. But I was given the opportunity to review these free boxes of gluten-free cookie mixes and, hey, free is free so here I am veganizing these cookie boxes! 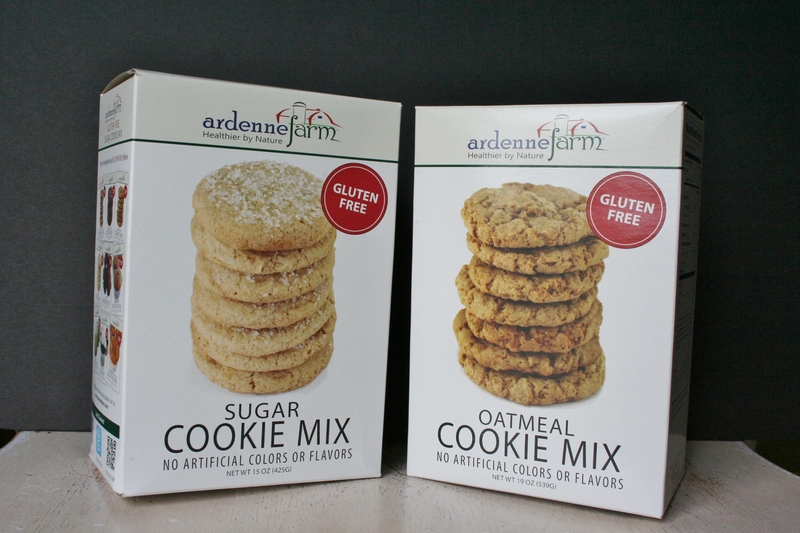 Here is my review of Ardenne Farm Gluten-Free Sugar and Oatmeal Cookie mixes. As always, all opinions are my own. First off it is nice to see, on the box!, that there is a way to veganize a boxed mix! Lots of boxed mixes have some type of milk protein in them so there is no real way to safely eat them. But this mix was only gluten-free flours with specific add-ins. On the side of the box it shows to just add oil and butter, and then an option to veganize by just using vegan butter. Uh, easy right? A packet of spiced flour and butter? Who wouldn’t want to gobble that up before it’s even baked! Well, me since I of course had to try it before they went in the oven. 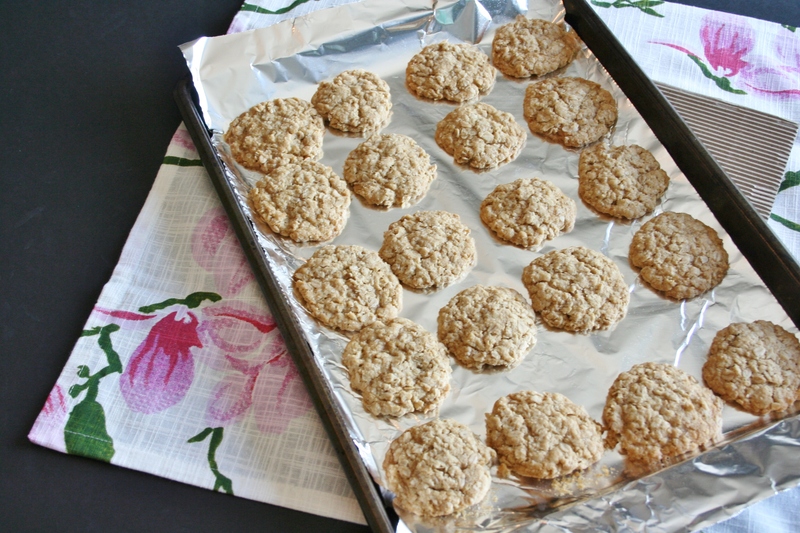 And since it’s vegan, so no eggs means go ahead and eat the pre-baked batch if you want! So I made these cookies with my SIL and youngest nephew for my birthday the day before I left San Antonio and my nephew wanted the sugar cookies first. Now I have made sugar cookies once before and it was my very first baking fail (not posted) so I was hesitant to make these cookies. But, it’s actually really hard to mess up a cookie, cause even though my own recipe failed it still tasted good. 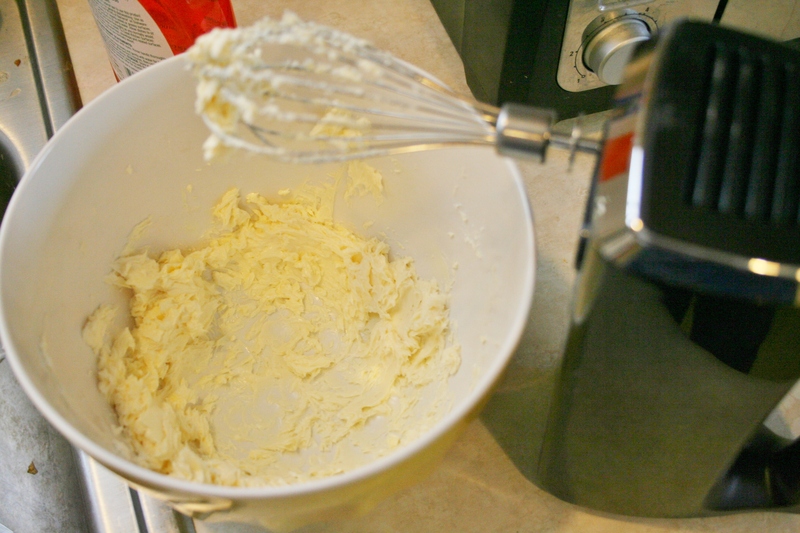 So we followed the directions with beating the softened butter until whipped then adding the dry packet. While beating it I added about 3 tablespoons water, which was recommended on the box. Now this is where it gets tricky – the dough is not really a dough, it’s more powdery in texture. Which to me is annoying, but turned out easier to handle then I thought it would be. Have your lined or sprayed baking sheet ready then spray your hands with non-stick spray. Using a spoon, take out a small portion and put in your hand then squeeze it into a ball. 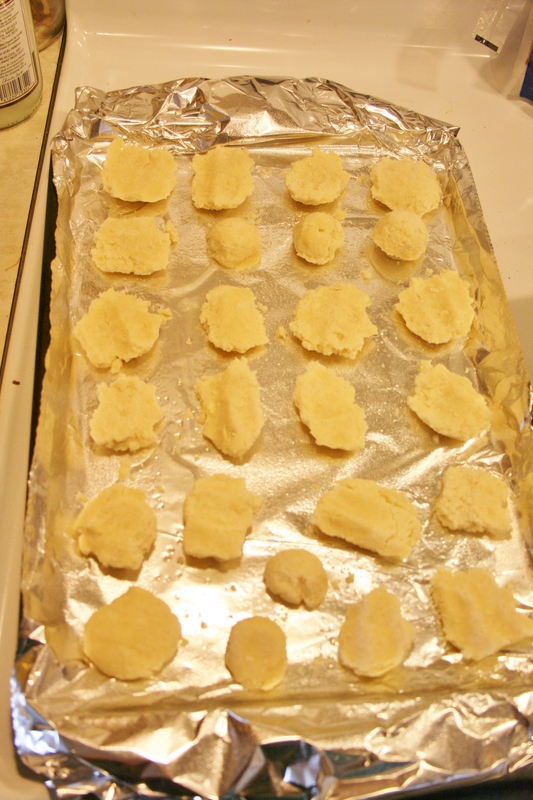 As you can see from the pictures the dough looked like big lumps and were pretty ugly, but once they baked they flattened out into pretty cookies. The first batch of cookies were just normal cookies, but with the little bit of leftover dough we zested in and juiced a lemon and made some absolutely awesome and amazingly flavorful lemon sugar cookies. OMG, they were the bomb. Even though we didn’t add anything else to this little batch, they tasted so sugary and melt-in-your-mouth good that I wished I could have gone back and added lemon to the original batch! 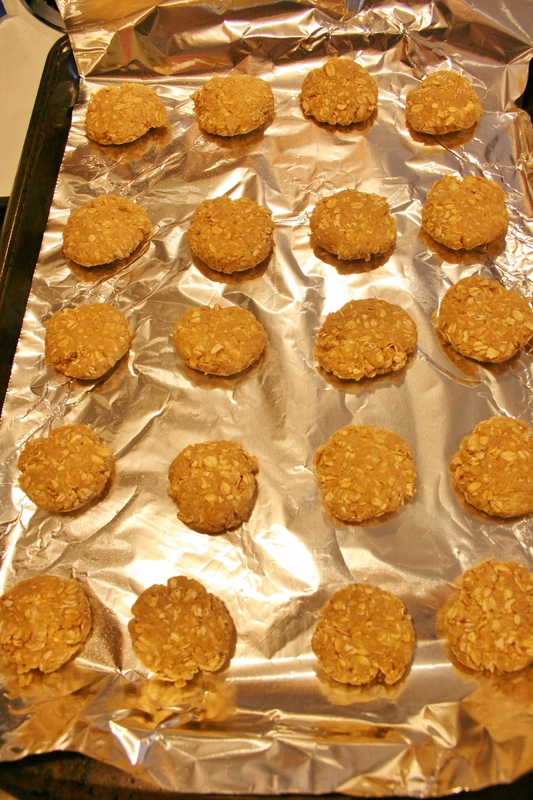 For the oatmeal cookies I did exactly the same, followed what the box instructions said. I mean, I wanted to know what the cookies tasted like so I didn’t add anything to the original. 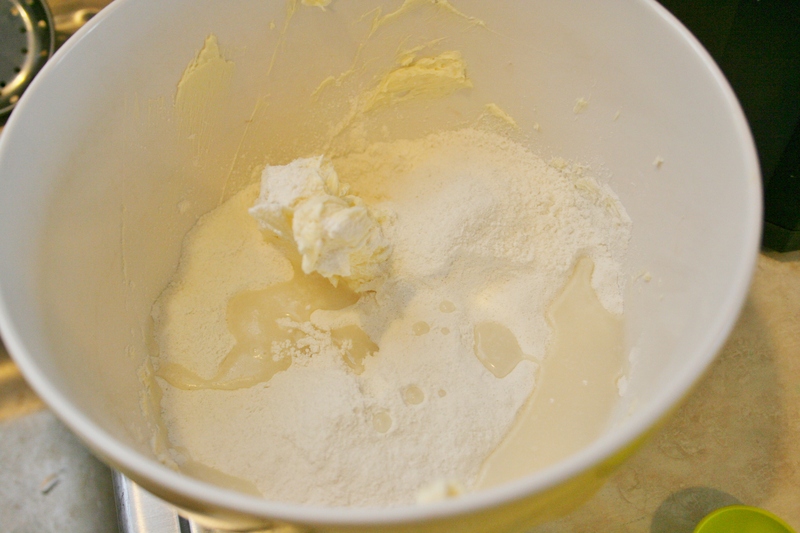 Start by whipping the softened butter then adding the dry packet and mixing; add 2-3 tablespoons water as needed. The oatmeal cookie dough was a ton easier to handle than the sugar cookie, but we still sprayed our hands with non-stick spray to ensure we wouldn’t get sticky hands. We rolled them into balls then flattened them in our hands into little patties. They held up while baking and didn’t melt out into each other. These cookies were good and not too sweet, which is what I love so I could have eaten them all by myself. But, I couldn’t just leave them like that! 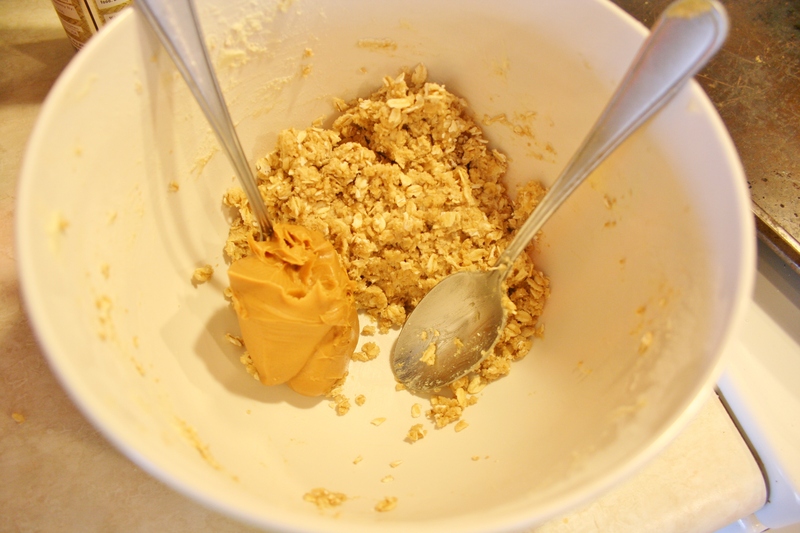 Oh no, give me some oats and I will add peanut butter whenever I can! So, I added a big ole spoonful of creamy peanut butter to the rest of the batter and mixed then rolled and flattened and baked. 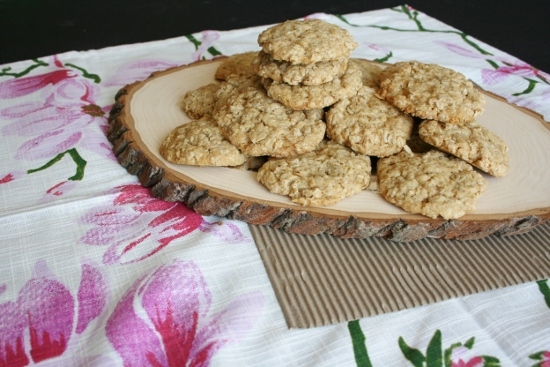 Mmm, warm oatmeal peanut butter cookies are the most amazing things in the world! The batter really takes to adding in your own elements and they come out so rich and flavorful. Yum. So overall these boxed cookie mixes are awesome; who doesn’t want to have quick options at their disposal when the time arises. Like birthdays! 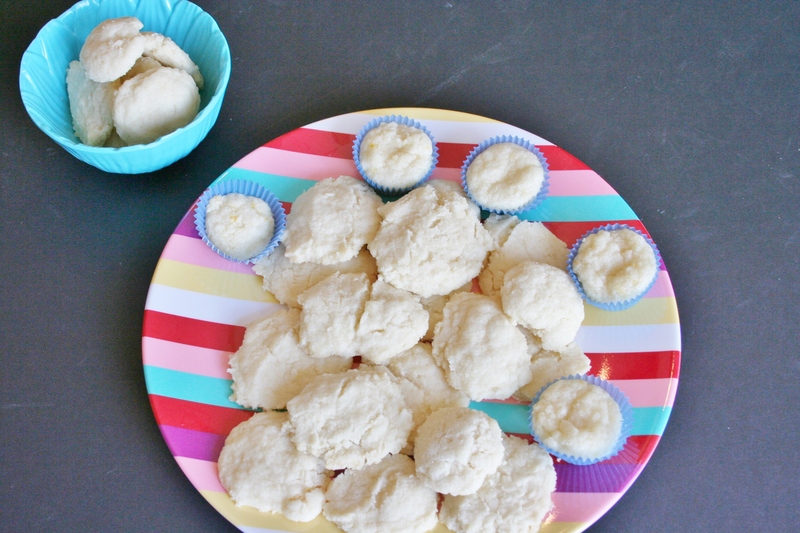 I would say choose an add-in to help enhance the flavors, and be ready for soft dough with the sugar cookies, but I would definitely use the cookie mixes again if I found them in a store near me and they were priced right. You can find the prices here, and you can decide if they are priced right for you – for me, they are a little too pricey, but on point for what you would find at Whole Foods or the like. I know right? A dough that you can eat raw, and it tastes good? Yum! 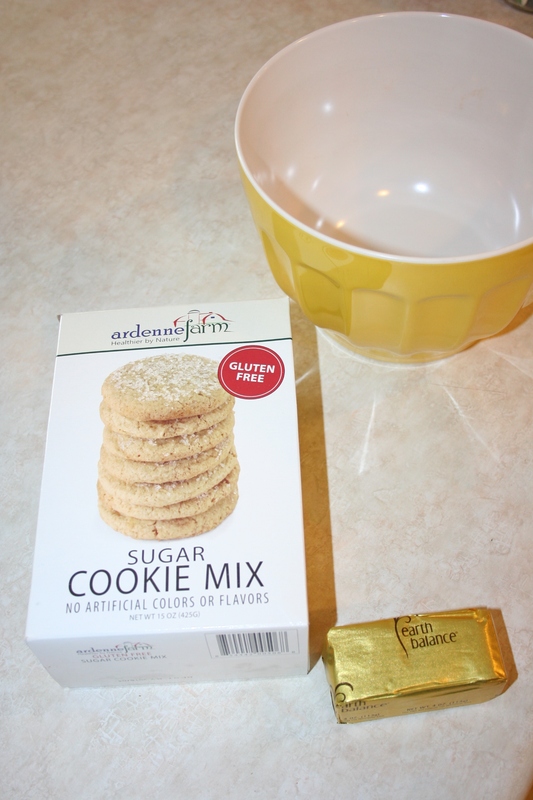 I’ve never seen these GF cookie mixes before, thank you for sharing this! I will take a look again at Whole Foods! 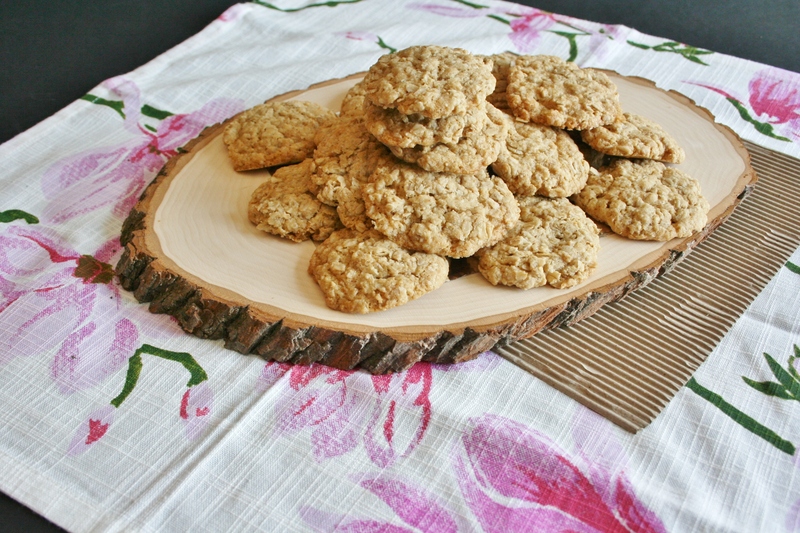 The Oatmeal PB cookies look pretty yummy! I had never seen them around before either – they are online only for now I think. Definitely worth keeping a box of them in the cupboard though; super easy to individualize by adding different add-ins.